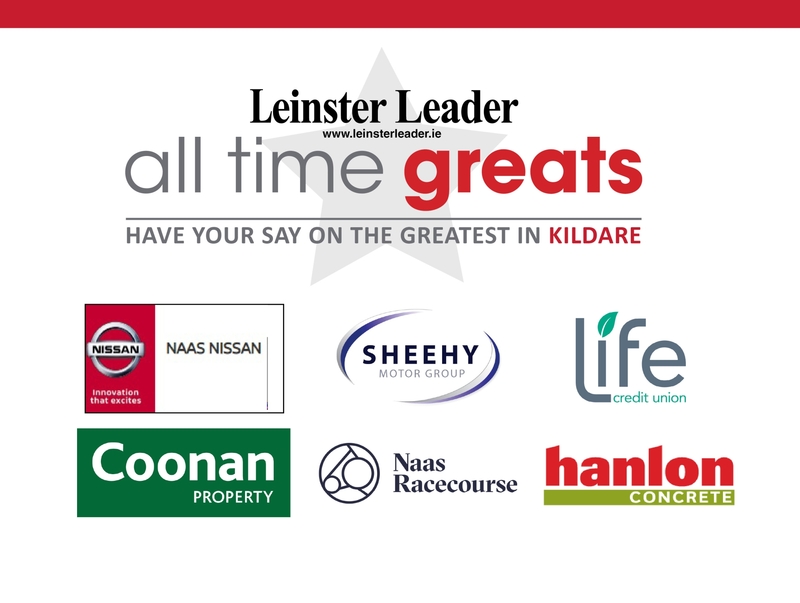 Who will take the crown of Kildare's All Time Great, as voted by Leinster Leader readers? LATEST: FIRST ROUND POLLS ARE NOW LIVE - VOTE HERE! Since its launch a few weeks ago, the search for Kildare’s' All Time Great has certainly been generating some conversation with suggestions coming in from near and far. Now the nominations are in and the shortlisting is revealed here in print for the first time, as the Leinster Leader prepares to find out who readers believe is Kildare’s All Time Great. The search drew people from all sections of the community: business, charity, sport, entertainment, and historical figures. Could we see John Devoy doing battle with Pippa O’Connor? Who knows! All will be revealed this week at www.leinsterleader.ie. It’s the ultimate quest for Kildare’s All Time Great and you, the reader, will decide who is truly worthy of this prestigious accolade. To cast your vote in round one go to www.leinsterleader.ie on Friday and get involved!